We went camping this weekend and it was awesome! 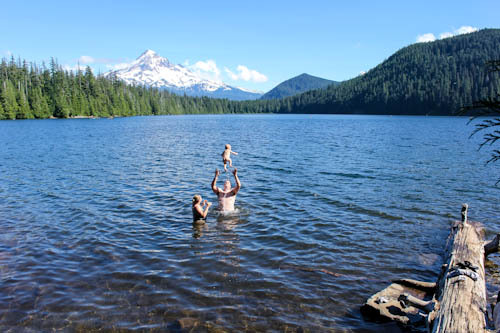 Our 11 month old baby was a super-champ the whole time - but really, what's better than twigs and sticks and dirt and parents who have dropped their cleanliness standards down to "roughin' it?" Our dear friends are camping pros and really gave us a wonderful and amazing weekend. 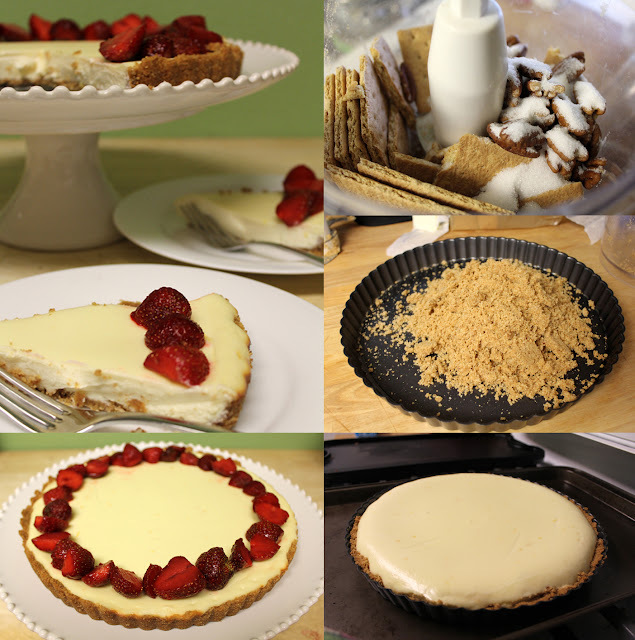 Needless to say, in my post-camping stupor, I really don't know what to write about this little cheesecake I made last week. It has a pecan and graham crust. There is no water-bath to bother with. It's smaller than a regular cheesecake and you bake it in a tart pan. It was easy and it was delicious! To make the crust, grind nuts, grahams and sugar in a food processor. Add melted butter and blend to combine. Press crumbs into a tart pan and freeze for at least 15 minutes. To make the filling, blend all ingredients in a food processor until just combined. If you are using a tart pan with a removable bottom, place the tart pan on a rimmed baking sheet and then pour in the filling. 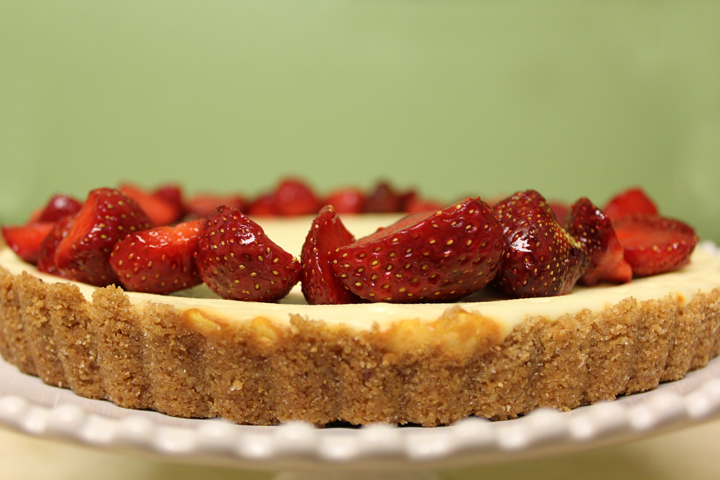 We put the last few Hood strawberries on our cheesecake. The juicy strawberries tasted great with the rich cheesecake. Cherries, blueberries, raspberries, blackberries or mixed berries would all be delicious. If you omitted the lemon juice and zest, dark chocolate would be totally decedent.